Do you have a piece of old furniture just sitting in the corner, practically screaming to be made over? Or maybe you’ve recently scored an awesome thrift store find, but you can’t decide what to do with it. While some pieces may be better left alone in their original state, other items can be given a serious makeover (for cheap!) by adding some fresh hardware and a few coats of paint. From nightstands and dressers to cabinets and chairs, check out these seven amazing furniture makeovers that we bet you’ll be pinning in no time! This pretty-in-pink ombre dresser was dolled up with three shades of pink paint, brass flower knobs, casters, and gold drawer liners. 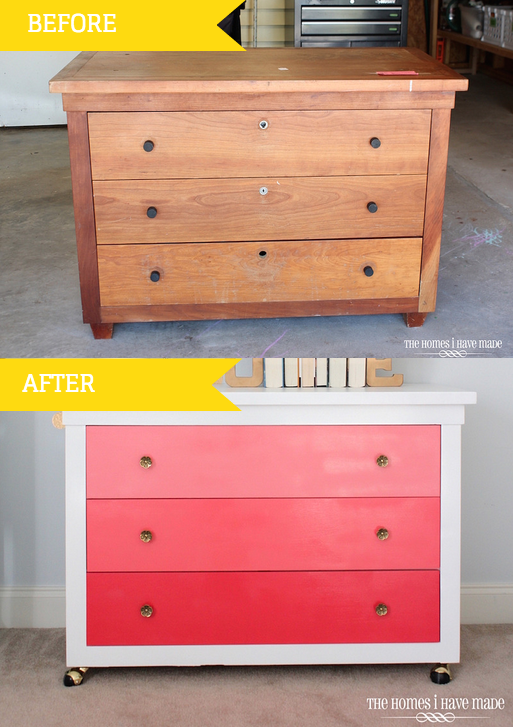 See the full transformation of this sweet dresser, here! This $14 nightstand was given a brand new look with just a few coats of spray paint! Find out how many coats it took to create this navy beauty by checking out the full tutorial. This IKEA makeover will make you want to redo all of your furniture! See how this plain IKEA Malm dresser was transformed into this campaign style masterpiece, here. 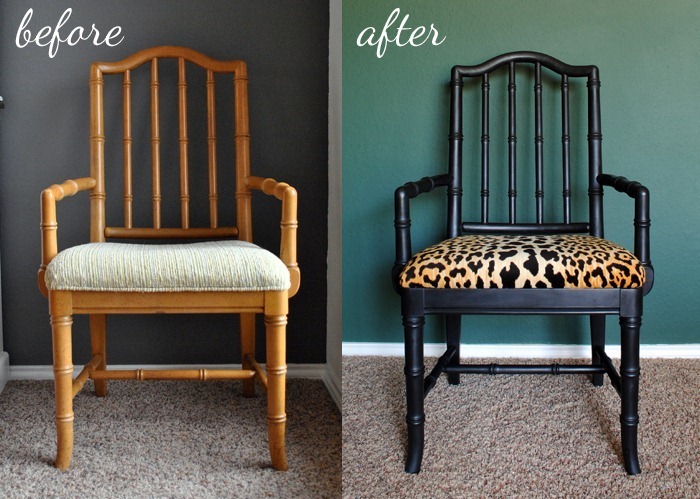 Spice up an old vintage chair with black and leopard for a piece of furniture that really pops! Get all of the details on this wild furniture makeover, here. Brighten up an old cabinet with your favorite color of paint and shiny new hardware. 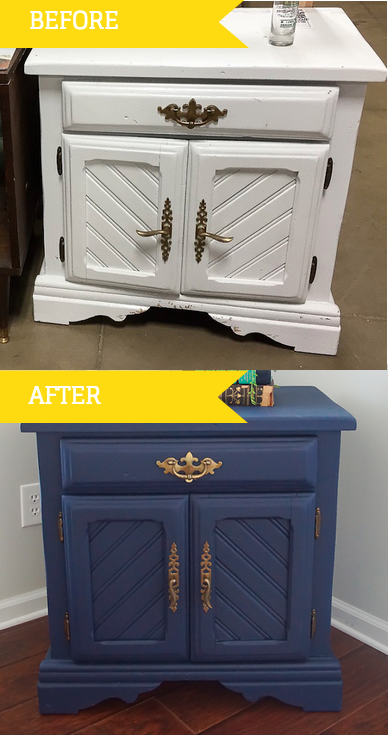 See what else this furniture makeover added to take this classic cabinet from drab to fab, by following this tutorial. This navy dresser with copper pipe drawer pulls is hard not to love! Follow this step-by-step tutorial to DIY your own. 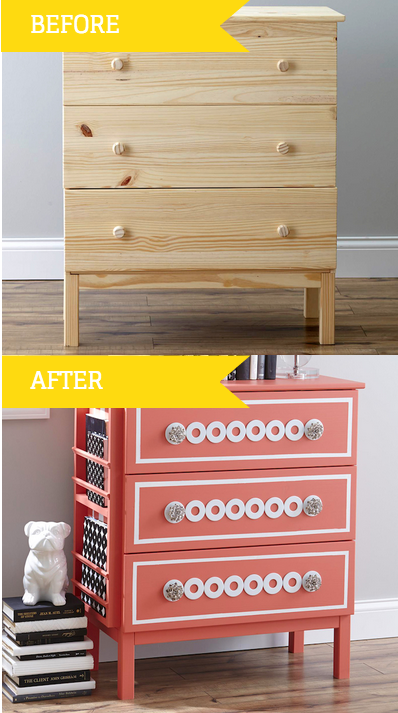 This IKEA dresser was given an entirely new look with coral paint, washers used as knobs, pieces of wood, and a little glue! 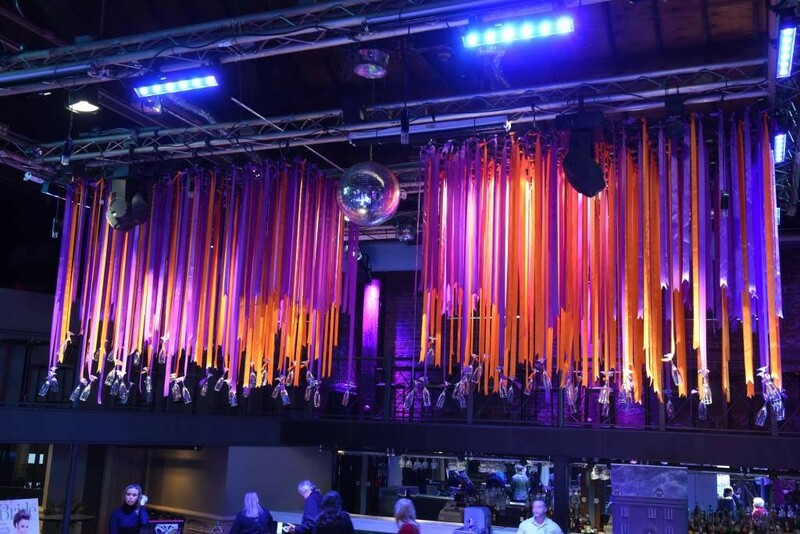 Take a closer look at this fun furniture transformation, here. Which furniture makeover do you love most? Tell us in the comments below!